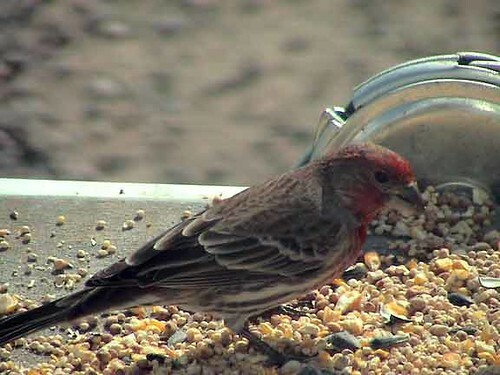 Upon first glance when I saw this bird on the feeder, my mind said Red Poll, but there is subtle differences. Very Pretty Bird & Bob your wright at 1st glance is does look like The Red Polls that you had at The North Pole.The biggest difference I see is Red Poles are short & dumpy (kinda like me) and this one in the picture is kinda long & lean. They found your feeder really fast! I used to call them Raspberry Finches until I learned their real names. They’re known for their songs. Never have seen these birds around here! They surely are very distinctive looking!